Explanatory note: This may be the first part of a series on reverberations from Dallas, 11-22-63, a day that saw the country derailed and sent on a corporate/fascist timeline that culminated with the Bush bund in the White House, and even some of Obama's key appointments (eg. Eric Holder & associates from Covington & Burling, a law firm nearly as relevant to the assassination as Mudge, Rose). If my readers are responsive, there will be more on contemporary consequences of the Dallas coup. Harry Connick succeeded Jim Garrison as district attorney in New Orleans, in which capacity he refused to release documents related to the assassination of John Fitzgerald Kennedy. Connick even refused to comply with a subpeona for the official records (see second installment below). Criers of "conspiracy theory" can kiss my a**. 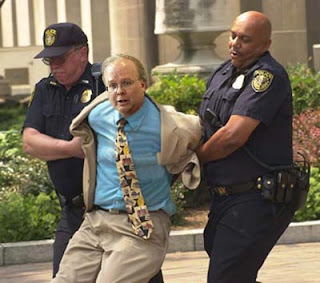 I've been researching Karl Rove's Florida land/home. Interestingly a man named Edward Connick built Rove's house at Rosemary Beach, FL. It appears this Connick family originates in Louisiana, and there is/was a D.A. there (Harry Connick, Jr's father, Harry, Sr.) involved someway in the Kennedy coverup. The Connick family is Irish Catholic. I found it an interesting note. It appears they are "kinfolk." Harry Connick, Jr. has his businesses in Massachusetts. Music video by The Triplets performing You Don't Have To Go Home Tonight with Jim Shea, Oliver Fuselier (C) Universal Records, a Division of UMG Recordings, Inc.
Washington, March 7, 1996: The Assassination Records Review Board announced today that it has subpoenaed records from the investigation into the assassination of President Kennedy conducted by former New Orleans District Attorney Jim Garrison. The records are held by current New Orleans District Attorney Harry Connick. Connick has failed to comply with the subpoena. A federal judge in New Orleans did not grant a motion by the District Attorney to quash the subpoena, and ordered the parties to arrange for a convenient time for the transfer of documents to the Review Board. Connick has failed to comply with the judges order and the Board is now seeking enforcement of it. The Review Board took this step to ensure that the public interest in these assassination records is protected, said the Honorable John R. Tunheim, Chair of the Review Board. It is still our hope and desire to resolve this matter without lengthy legal proceedings. The subpoena required the District Attorney to produce all documents and records in [his] possession, custody or control relating to the assassination of President John F. Kennedy, including but not limited to handwritten notes, memoranda, drawings, photographs, tape recordings, and correspondence that relate to the investigation and prosecution of Mr. Clay Shaw by former New Orleans District Attorney Jim Garrison, with the exception of any grand jury materials still extant in the possession of the District Attorneys Office. Connick did not produce the records by February 16, 1996, as required by the subpoena. On February 16, Judge Marcel Livaudais, Jr., of the U.S.
District Court for the Eastern District of Louisiana, ordered the Review Board and Connick to find a mutually agreeable time for production of the documents in New Orleans. Connick has failed to agree to a time to produce the documents. The Review Board filed papers today in the U.S. District Court in New Orleans seeking enforcement of Judge Livaudais order. the JFK Assassination Records Collection. The subpoena was issued after the District Attorney had failed to forward the Garrison-era records to the Review Board during the last eight months, despite the Review Boards repeated attempts to encourage Connick to do so. The records are defined as assassination records within the meaning of the Boards governing statute, The President John F. Kennedy Assassination Records Collection Act of 1992 (JFK Act). Another matter related to the Garrison assassination investigation records is pending between the Review Board and District Attorney Connick. In July 1995, the Board received an unsolicited shipment of records that allegedly are Grand Jury transcripts from the Garrison investigation. These records have not been made public by the Board. The law presumes that the Board will preserve assassination records, such as the Garrison Grand Jury records, in its possession for inclusion in the JFK Assassination Records Collection at the National Archives. District Attorney Connick has sought the return of these records. The Review Board has not returned the documents, citing its legal obligation under the JFK Act, but has repeatedly offered to seek a resolution of the matter with the District Attorney. Connick has refused to engage in any discussions with the Board. The Assassination Records Review Board was established by The President John F. Kennedy Assassination Records Collection Act, which was signed into law by President George Bush. The five members of the Board were appointed by President Clinton, confirmed by the U.S. Senate, and sworn in on April 11, 1994. The law gives the Review Board the mandate and the authority to identify, secure, and make available all records related to the assassination of President Kennedy. It is the responsibility of the Board to determine which records are to be made public immediately and which ones will have postponed release dates.